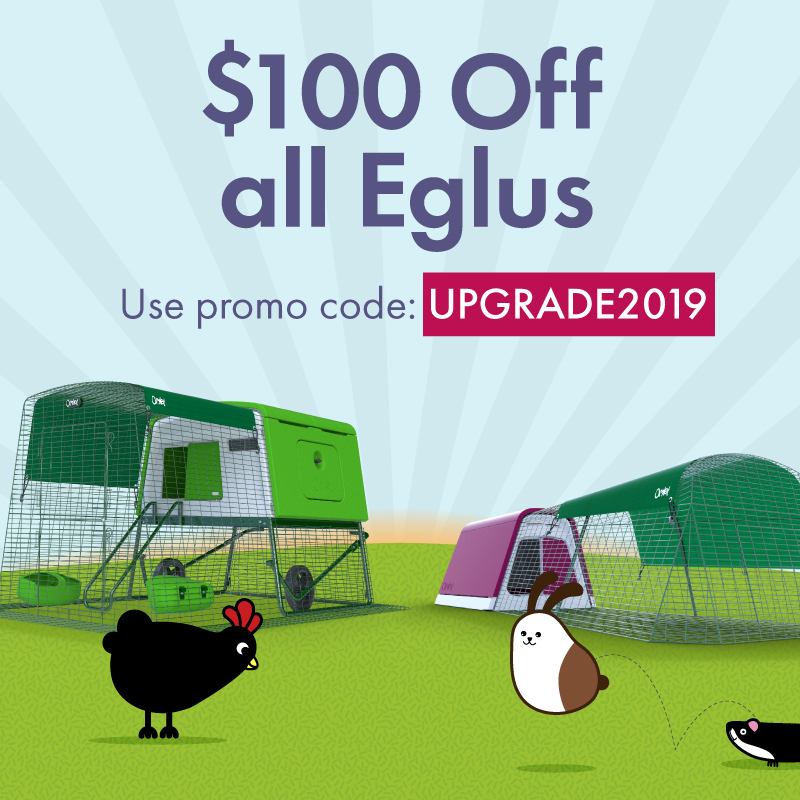 $100 off all Eglu coops and hutches with the promo code UPGRADE2019. Enter code UPGRADE2019 at checkout to get £50 off your Eglu order. The promotion includes all containing Eglus, including the Eglu Classic Coop, Eglu Classic Hutch, Eglu Go, Eglu Go Up, Eglu Cube, Eglu Rabbit Hutch and Eglu Guinea Pig Hutch. Subject to availability. Omlet ltd. reserves the right to withdraw the offer at any point. Omlet cannot take responsibility for third party supplier delays such as courier service. Offer is available while stock last. This offer cannot be used on existing discounts or in conjunction with any other offer.